thanks, great to see you. hope all is well... you have any new additions? Tank is full of coral now. Tears running down my eyes when I see your baby's conspicillatus. In germany I am just able to become 15cm the smallest. But the price is just a quarter of your baby's. 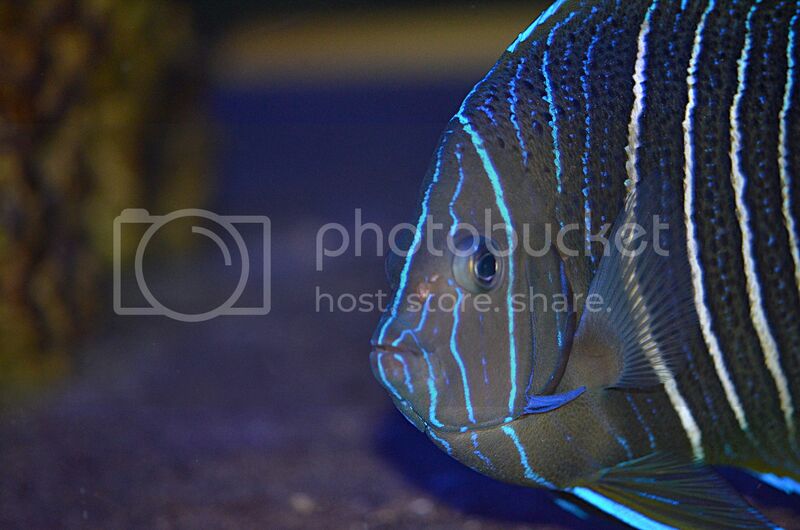 I do not know if I am able to pair two of the medium ones or I am waiting for next breed of conspicillatus and less prices. Last edited by Achilles Torben; 01/07/2018 at 11:42 AM. Finally got some pics. Again, they claim they're pure emperor angels. After looking a little more, they look to me like P. maculosus. Def not a pure Mac! How about semi/chrys X mac? or another variation? one parent was a hybrid? 4 cm is always a great size! Post some pics. Have your tried reaching out to Karen directly for Gp? Not sure if she ships but it might be worth a try. Also, great to hear about more HGp coming, going to be hearing more on that in the future. 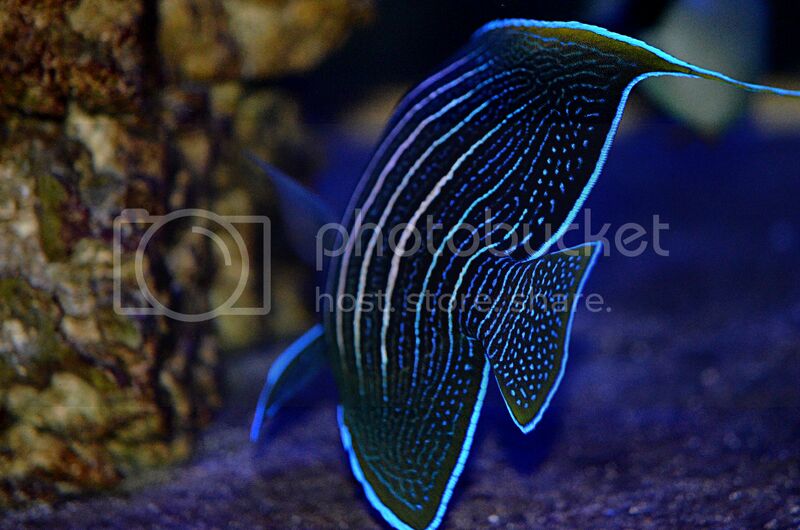 The conspics are wonderful, so great fish and growing quickly. You should reach out to Matt, if you are interested. Again, I am not sure where he ships to. Great to hear from you and I look forward to pics! btw, her baby pics confuse me too. This was a few years ago. Last edited by humaguy; 01/07/2018 at 01:04 PM. Apologies, I was referring to HiImSean's pics. I think we agreed, Ted, yours is Koran x Chrysurus, no? p.s. 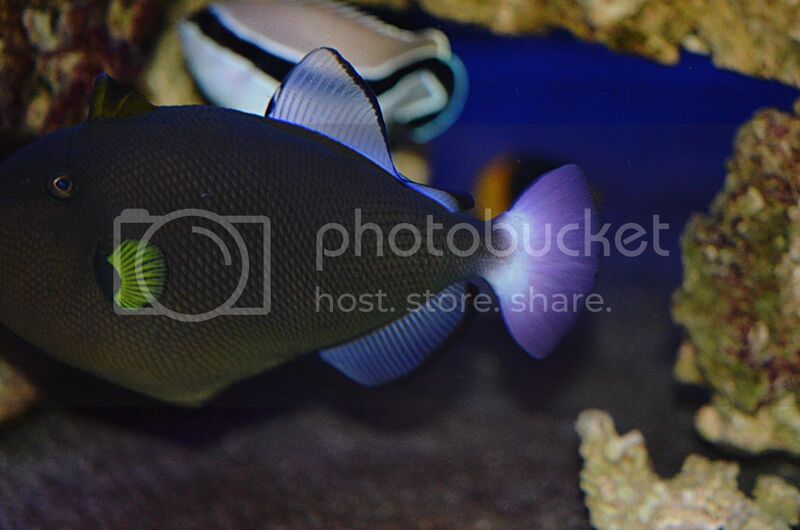 I understand there may be differences between Pomacanthus and Chaetodontoplus spp. but curious nonetheless. Those P grow insanely fast! Lol, the Ch. at this size are growing quick too, but not like the P. The P should be fed a lot of smaller meals every day, as opposed to 1 or 2 bigger meals. I am not sure of anything about that fish, lol. I agree on the feedings. 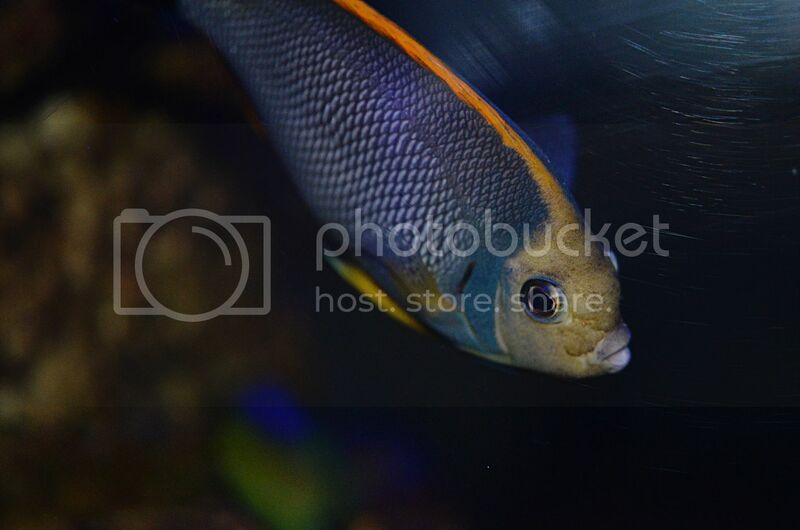 I have been feeding mine about 3-4 times per day along with leaving some nori in the tank most of the time. Will certainly put up some pics again soon. I'll snap a few tonight. Cheers. Here are a few pics (not great) of the cb annularis. The pvc is 3" for size reference. In person, I can see that the base color of the fish is starting to turn a bit orange which leads me to believe that it will start to transition into adult coloration fairly soon. This is a bit shocking to me! 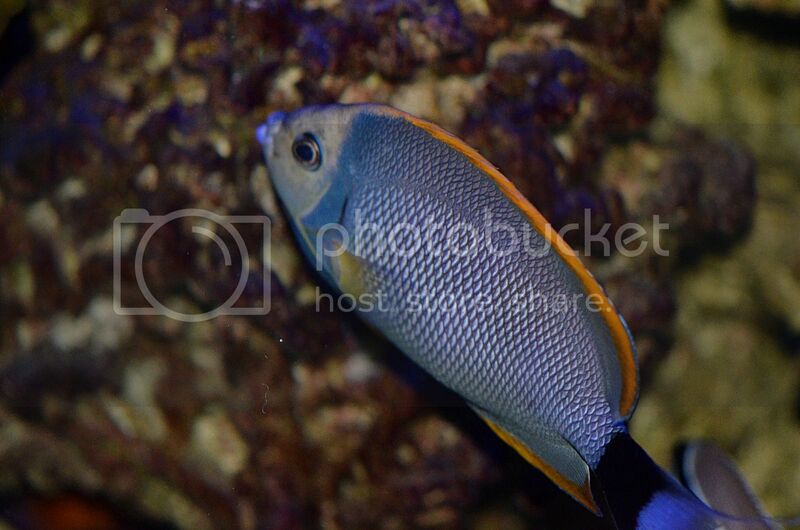 But I did have a juvenile blueface in the past that began transitioning around 3" as well. Where did that fish come from? Very unique! 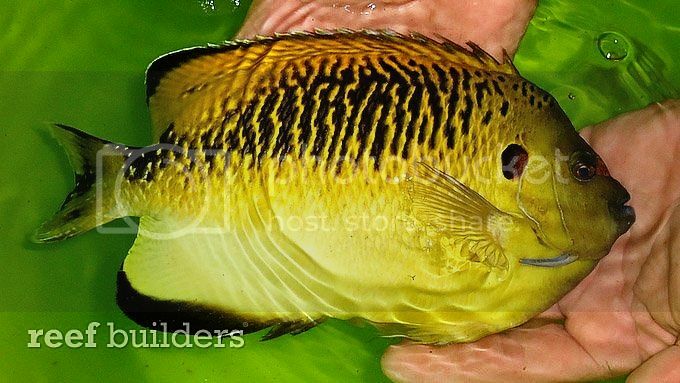 The tiger angelfish is so rare that it is hardly ever seen even in South Africa, so earlier this year we were tickled to be able to share with you a video of tiger angelfish acclimated and doing well in captivity. 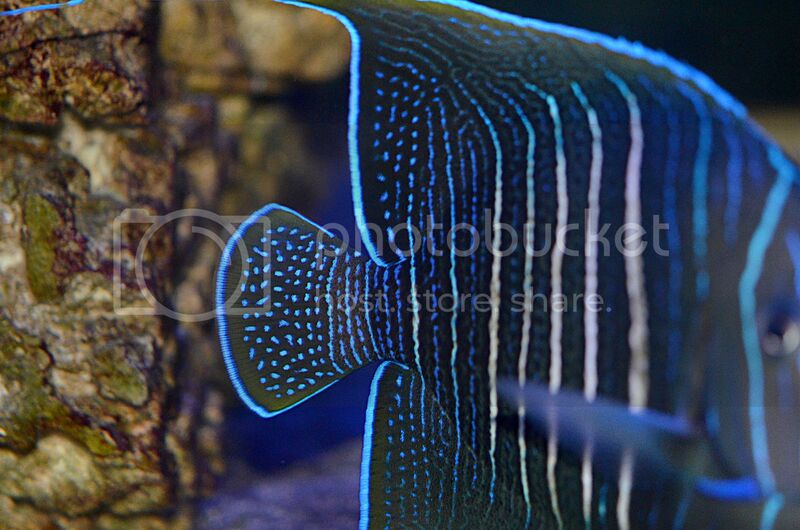 Now we’re kicking it up a notch with this amazing specimen of a hybrid between the tiger angelfish, Apolemichthys kingi, and the flagfin angelfish, Apolemichthys trimaculatus. 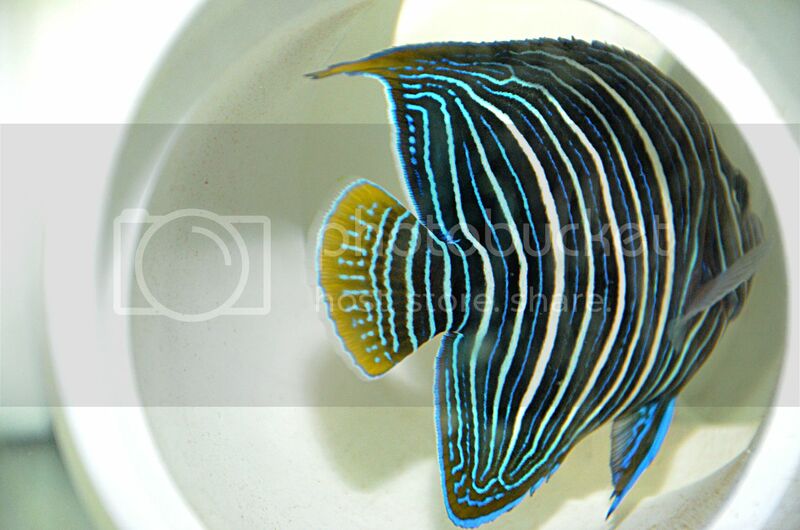 This incredibly rare hybrid tiger angelfish was collected near Durban South Africa and it is destined to go live in a South African aquarium, as it rightly should since it is so rare it would border on a national treasure.